The deacons of this body of believers are men who are called to service and are set aside by the church through ordination. Deacons are to use the Biblical guidelines found in Acts 6:1-4 and 1 Timothy 3:8-13. 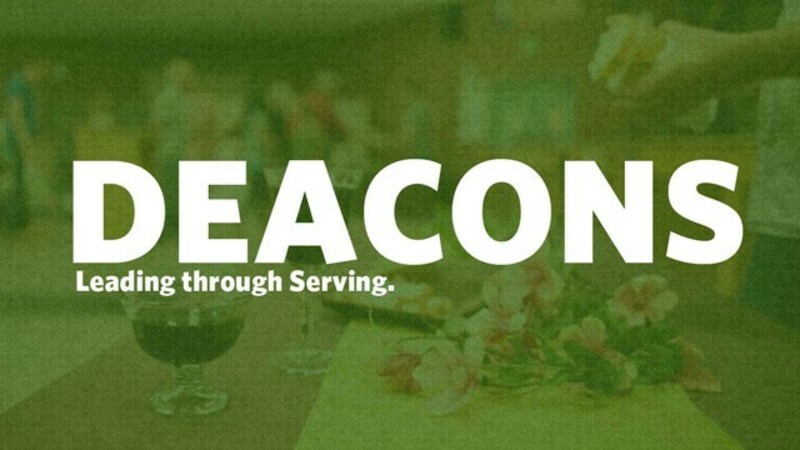 The deacon body are ordered to carry out specific ministry actions and/or programs. These include: Lord’s Supper Team, Baptism Team, Widows and Widowers Ministry, Visitation Teams for contacting prospective new members, hospital visits, ministry visits to members, etc. Deacons will assist or guide the local church body when necessary. Deacons are to be peace maker’s and seek to maintain unity in this fellowship of believers. They meet the first Tuesday of every month.